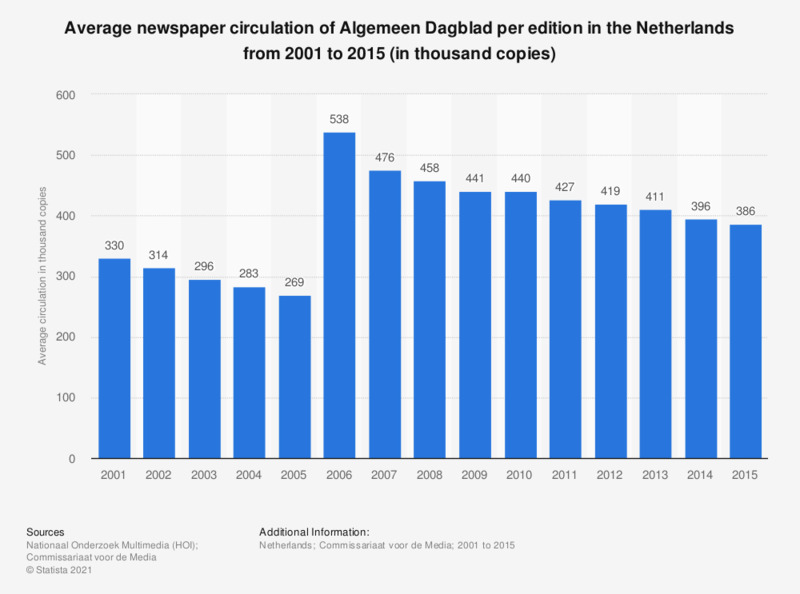 This statistic illustrates the average newspaper circulation of Algemeen Dagblad per edition in the Netherlands from 2001 to 2015 (in thousand copies). In 2006, Algemeen Dagblad had per edition a circulation of approximately 538,000 copies. By 2015, this had decreased to 386,000 copies per edition. Algemeen Dagblad or AD is a Dutch national daily morning newspaper with regional focus.